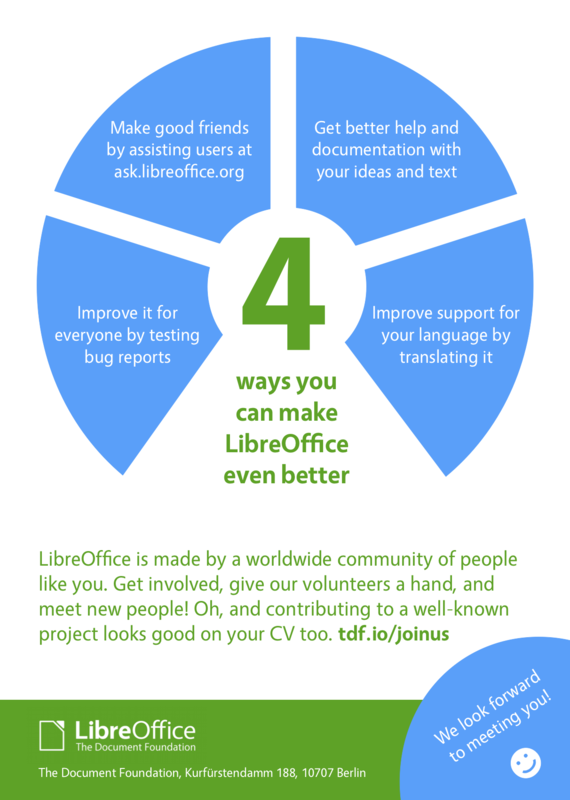 Every new major release of LibreOffice includes new features and updates – but they don’t happen by magic! They’re created by a worldwide community, and you too can join in and help to improve the software. See the graphic below for some ideas – and then visit our site to learn more! Not being arrogant, but I think that if I know C++, I would put my hands to fix the outdated Android port, but even though, if someone is still working on it, I can offer myself as a beta tester. It’s open source. You can fix and contribute with code.